Messenger bag made in cotton canvas in distress finish. 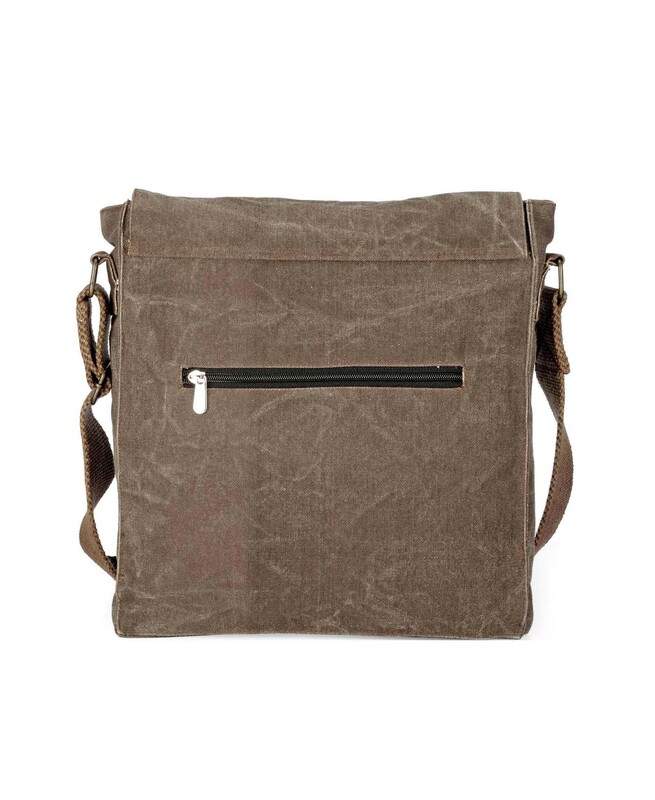 Messenger bag made in cotton canvas in distress finish. 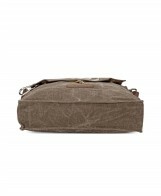 It has a cotton canvas lining with an inside zip pocket and 2 patch pockets. 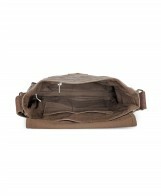 It also has an external zip pocket at the back. 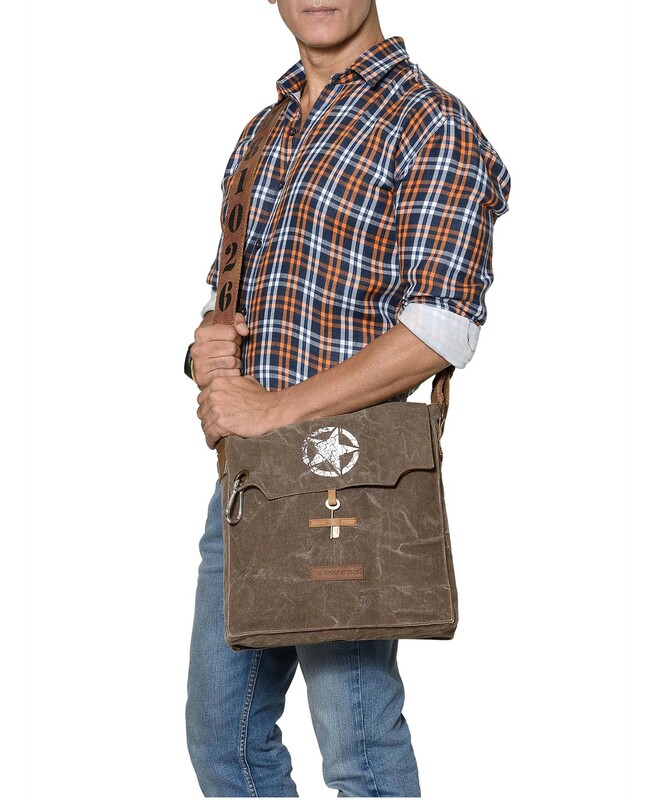 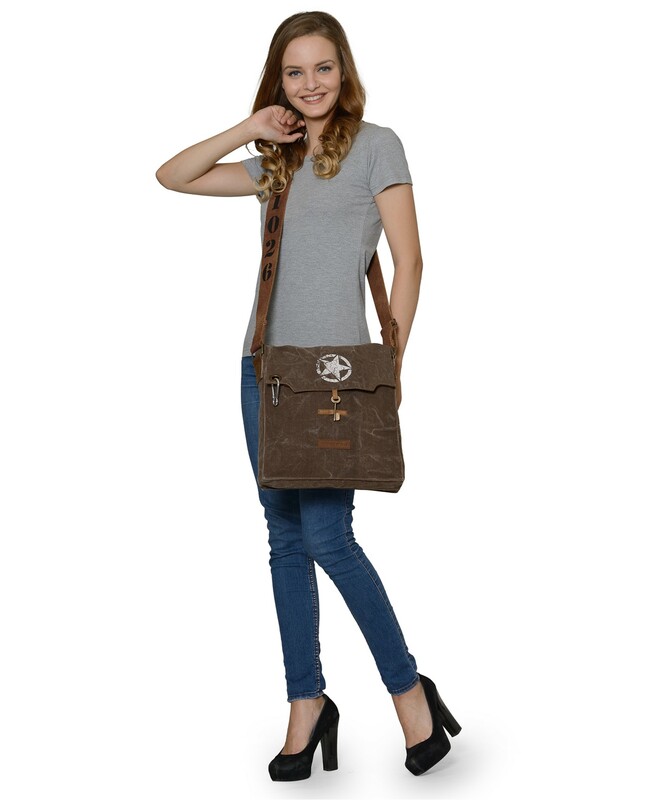 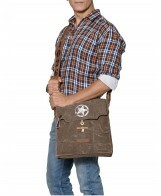 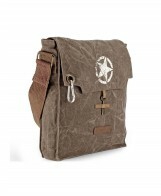 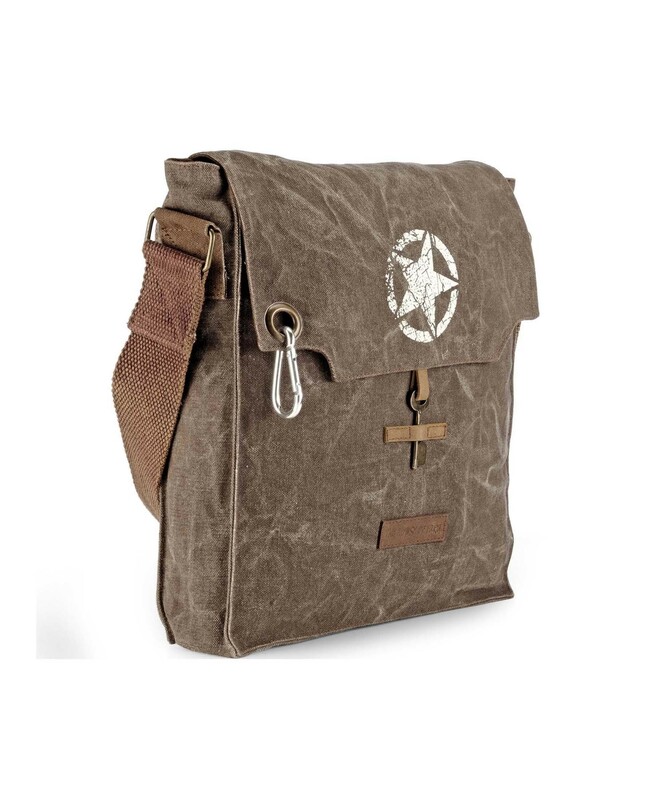 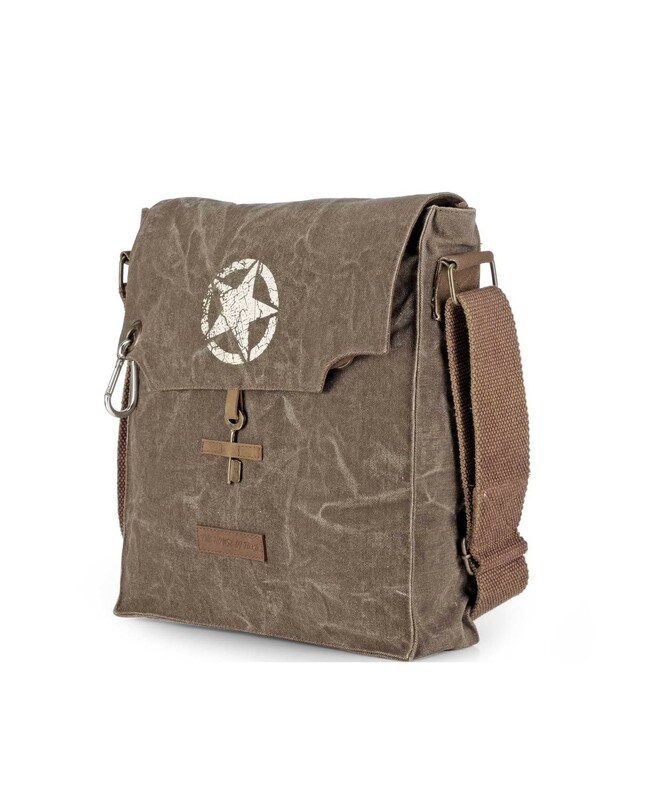 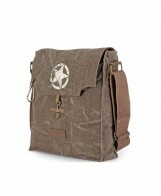 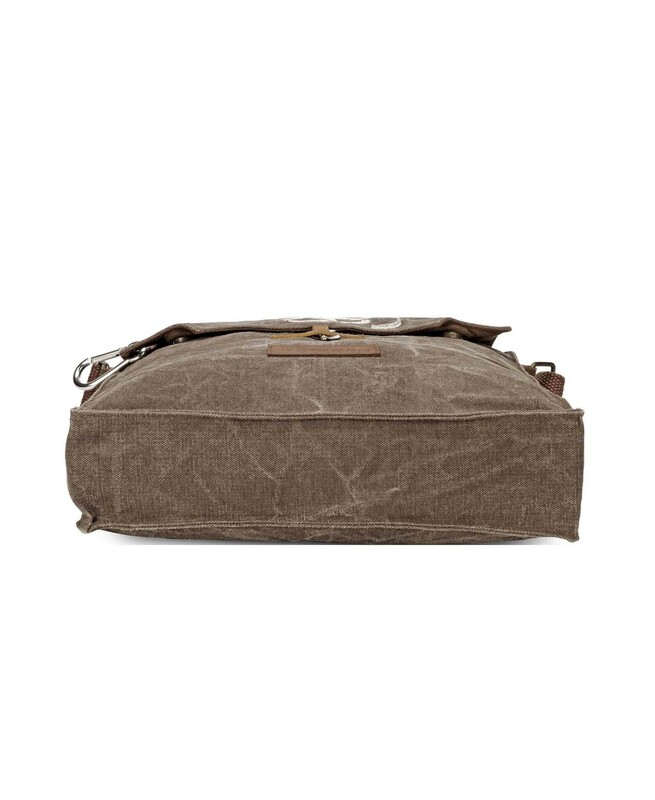 The bag is accented with chunky hardware and has an adjustable cotton webbing strap. 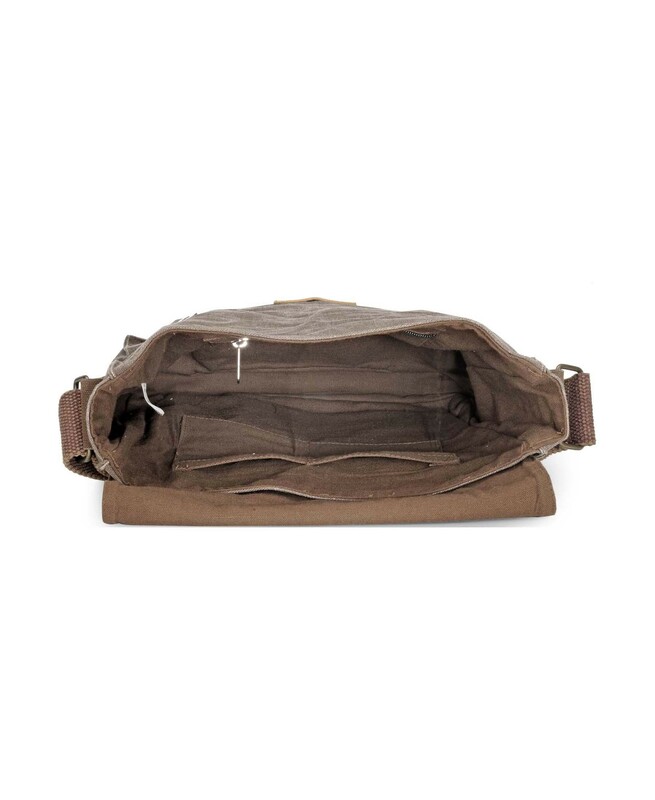 It has 2 magnet closures. 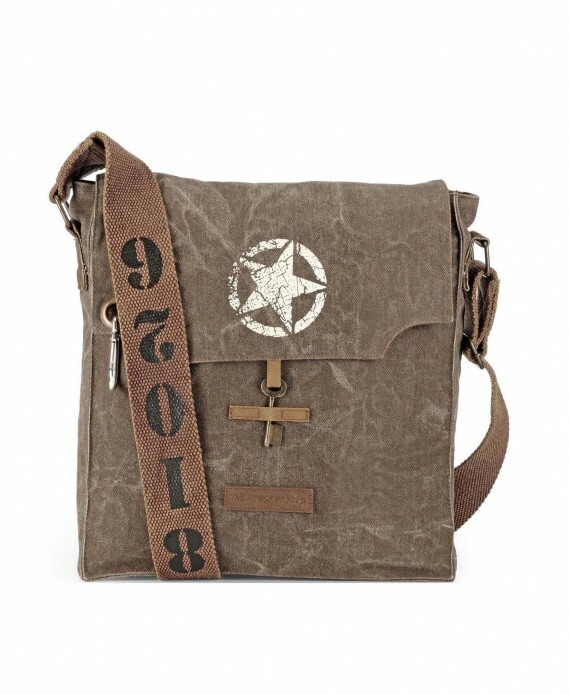 A hardy and spacious bag that goes a long way.